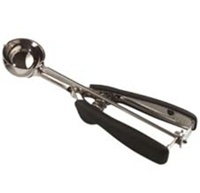 For easy scooping and consistently round cookies, try the OXO GOOD GRIPS Cookie Scoops. 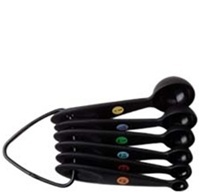 Our Medium Scoop have soft grips that absorb pressure while you squeeze to easily release your cookie dough. Dishwasher safe. 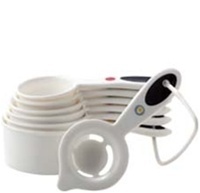 This OXO GOOD GRIPS 3 piece Angled Measuring Set comes with 1-cup, 2-cup, and 4-cup measuring cups.